The Cleveland Area Golden Gloves will get started tonight at the Brook Park Recreation Center in the Cleveland suburb of Brook Park. The Youngstown area will be represented with three fighters as Nate Cordova and Kyle Boyle will represent Burnside Boxing Club and Jake Lester will represent Zack Attack Boxing Club. Boyle will get things started tonight when he faces Colin Costanzo in a 178 lb. sub-novice bout with the winner set to take on the winner of Matt Bok-Isaiah White on Saturday night while fellow Burnside Boxing Club stablemate, Cordova, will take on Luke Freshour on Saturday night in a 152 lb. novice match with the winner taking on the winner of Isiah Bady-Dan Stoner on Championship Saturday on April 13. Lester will take on Teal Mathis in a 165 lb. novice this evening with the winner set to take on the Nicholas Duganier-Carl Polk winner on Championship Saturday next weekend. First bout times for both tonight and tomorrow at 7:00 PM with next weekends Championship Saturday starting at 5:30 PM with tickets starting at $20 each night for general admission. 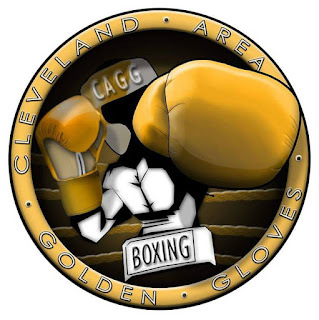 Please visit the Cleveland Area Golden Gloves website here for more information.